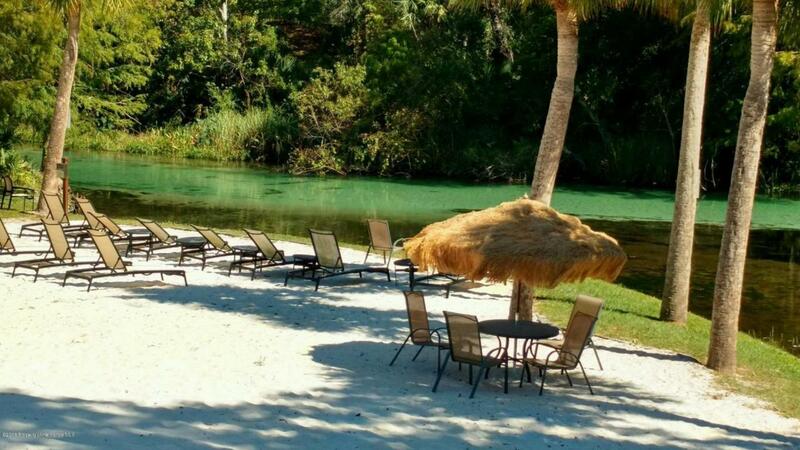 Luxury Condo on the crystal clear Weeki Wachee River. 2 Bedrooms 2 1/2 baths End Unit with a Spectacular View of Private Beach and River surrounded by environmentally protected land. Luxury Master Bathroom with Jacuzzi Tub, Double Sinks and large Walk in Closet. Tile floor, applianced Kitchen with Breakfast Bar, Pantry and Dining Nook. Large Screened Lanai overlooking Preserve and River and inside laundry. Resort Living... Heated Pool, Kayaking, Exercise Facility, Beautiful Clubhouse, Tennis.